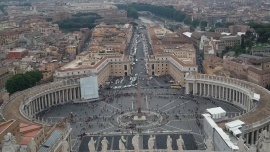 The photo that represents my project is one that I took from the top of the St. Peter's Basilica at the Vatican City. I tend to panic when I am 100ft above ground, so this photo serves as a reminder that no matter how scared I am of something, I should at least try and do it because the reward in the end will be amazing and worthwhile. Danielle Moss is one of the co-founders of The Everygirl website. She serves as an inspiration to me because she is a self-taught graphic designer and photographer. She is a great reminder that you can always find a way to learn the skills that you want. David Yurman is a luxury jewelry company based here in the US. I started following companies that I didn't before because of the notion that I wouldn't want to waste my time learning about them because I am not interested in working for them. Last week, I had a stark reminder that I shouldn't be closed off to any opportunities that come my way and that I should be open to anything that will give me the chance to learn something new. Tailour is a startup company based in Los Angeles I found when perusing through the Everygirl's job postings page. The business model behind this company is simple -- designing 9-to-5 work clothes that are flattering and chic. To anyone who haven't visited Quora, I highly suggest you do so now. 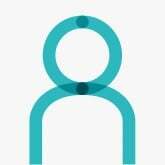 It is an amazing platform where everybody can ask about any topic. It's also a way for you to contribute your expertise by answering questions posed by others.